Our all makes servicing is carried out by Yamaha trained and qualified technicians, ensuring your motorcycle is maintained to the best possible condition. We take pride in the bikes we work on and ensure 100% satisfaction. Also, do ask us about our courtesy bike options! 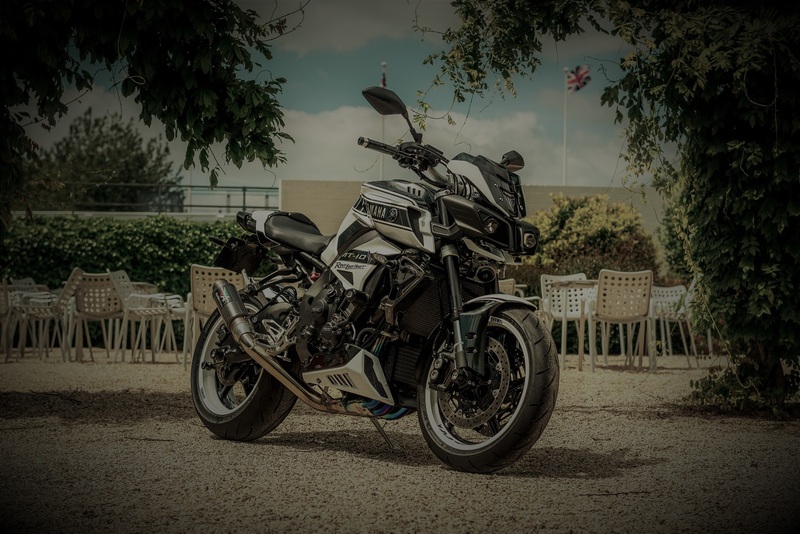 We provide a 2 year’s manufacturer warranty on our new Yamaha bikes and a 180 day warranty on used bikes, with the option to extend to up to 3 years. We stock a large range of genuine Yamaha parts & accessories. Should we not stock the item you require, we can arrange a special order for you. We also supply parts & accessories for many other manufacturers. Call now on 01252 400100. 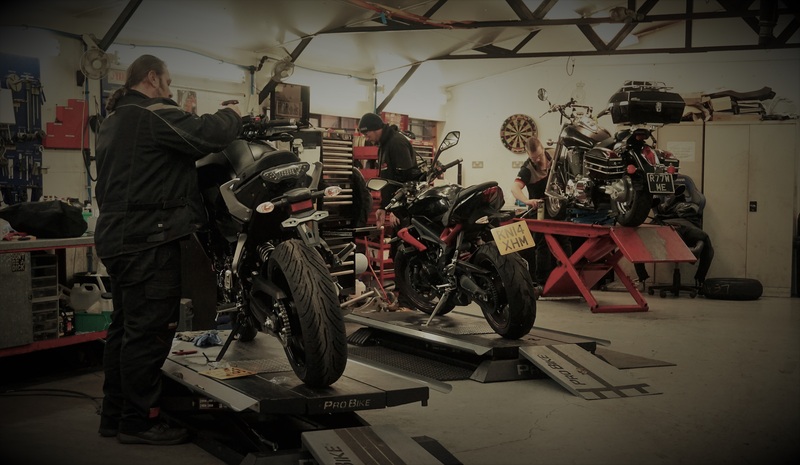 With our fully trained and experienced motorcycle technicians and our large workshop, we are competently equipped to work on all major manufacturer motorcycles. We are trained in repair of motorcycles and can source all parts for major manufacturer motorcycles. 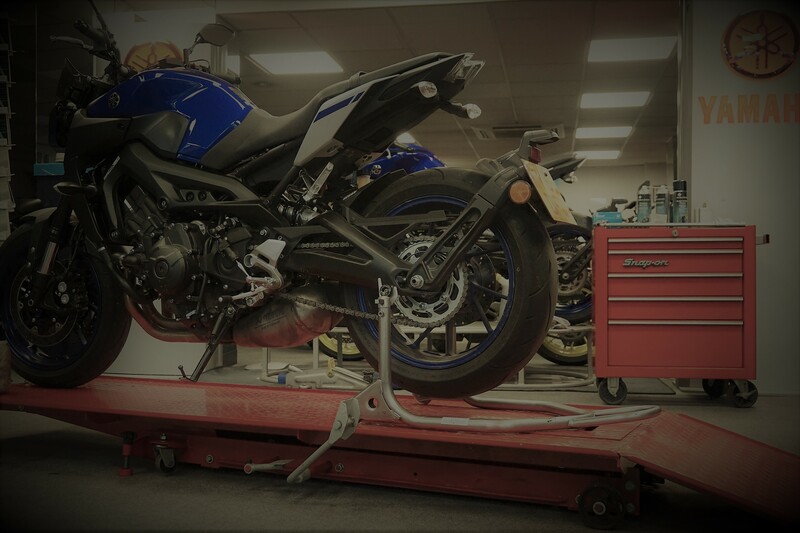 Get your insurance company in touch with us and we will ensure a swift and quality repair on your motorcycle, getting you back on the road soon! We offer a professional collection and delivery service. If you would like more information on areas covered or for a quote, contact one of the team on 01252 400100. All new road legal Yamaha scooters and motorcycles of 51cc and above come with the reassurance of a comprehensive, free warranty with unlimited mileage for a full two years. All new road legal Yamaha mopeds, scooters and motorcycles under 51cc have a one year warranty. As the owner of a new Yamaha motorcycle, scooter or moped*, your machine is covered by Yamaha Assist for 12 months from the date that it was first registered. 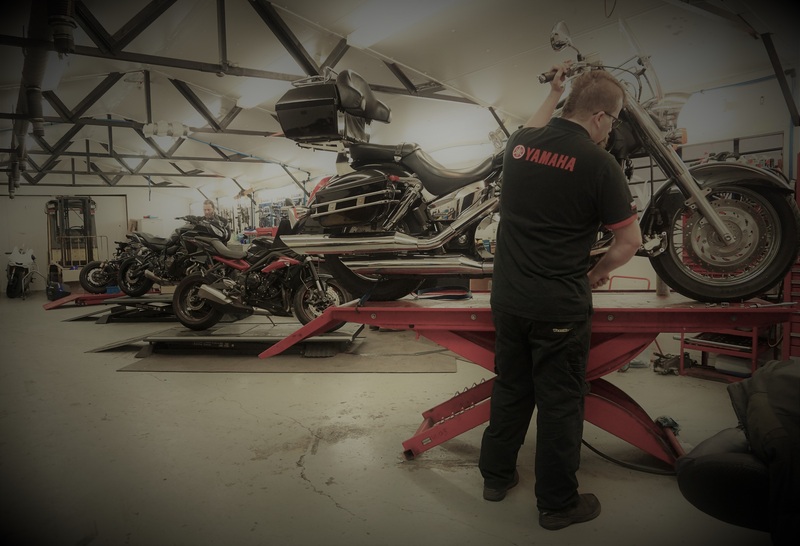 Yamaha Assist is the breakdown service that Yamaha offers for your Yamaha motorcycle under the terms of an agreement which Yamaha has with RAC. Every time that you ride your Yamaha you can be assured that Yamaha Assist is there to help if you have a problem. Yamaha Assist uses RACs computer-aided response service and network of modern call centres and this means that typical response times are just 45 minutes from call-out to attendance. And with an average repair time of only 25 minutes the RAC patrol will get you on the move quickly. Take a few minutes to explore this guide, it tells you everything you need to know about Yamaha Assist – as well as giving details of the many other additional benefits and services open to you. * Purchased in the UK from an authorised Yamaha dealer, not valid for off road use. Excludes YZ, WR, TT-R90/125and PW models. All our used motorcycles come with a standard 180 day warranty. We also work with the RAC and offer extensions of either 1, 2 or 3 years on most motorcycles and at hugely competitive prices. For more information speak to one of the sales team on 01252 400000.